In the end, the ‘head to head’ between the UK’s most high profile critic of the pharma industry and ABPI chief executive failed to pack the punch of a major title fight, and indeed neither of the two heavyweights landed knockout blows to their opponent. Nevertheless, the debate between Ben Goldacre and Stephen Whitehead is certain to be looked back on as a milestone for the UK pharma industry and the move towards greater transparency of clinical data publishing. 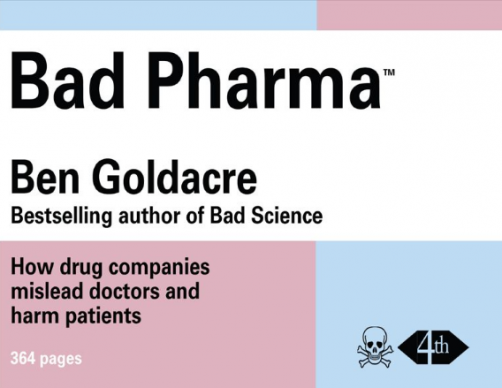 Goldacre launched his book ‘Bad Pharma’ in September last year, and since then his knack for publicity has helped re-energise a movement calling on the international pharma industry to publish full clinical trial data for all marketed drugs. The ABPI’s first response was to reject the claims contained in Bad Pharma saying they were historical - a response widely seen as inadequate - but the industry organisation is now making moves to ensure pharma companies comply with existing pledges to publish data. Despite there clearly being little love lost between Goldacre and Whitehead, the ABPI chief said that the UK industry body agreed that full publication of clinical trial data is the goal. Perhaps most significantly, Whitehead conceded that the ABPI had never put in a system to ensure its member companies abided by existing rules obliging them to make data available. He said the organisation would shortly announce new measures to ensure compliance. Nevertheless, Whitehead and others in the largely industry audience were highly critical of the Bad Pharma book, which he said had vilified the industry, and overlooked all its contributions to public health. The ABPI chief at one point suggested that Goldacre was motivated by book sales, and said the author had used a propaganda technique called The Big Lie, which involves telling untruths so audacious that they are believed by a trusting public. As misjudged as this was, others in the audience argued even more implausibly that Bad Pharma would scare patients, and therefore be harmful to them and healthcare in general. As the debate’s chair Dr Phil Hammond pointed out, the controversies around pharma’s hidden data and culture of secrecy have parallels in the scandals in NHS patient care, where poor care was concealed and hushed up. The most notable case, is of course, the neglect and suffering and deaths of patients at the Mid Staffs hospital finally confirmed this year by the Francis Report. Claims that Bad Pharma, in highlighting the worse examples of pharma practice is unhelpful because it could scare the public, then, is really not far removed from saying that the Francis Report shouldn’t be published because it would make the public scared of using an NHS hospital - clearly these facts need to be aired. Happily, the 400-strong audience assembled at the PharmaTimes event were clearly open to many of the arguments put forward by Goldacre, and Fiona Godlee, editor of the BMJ and Sir Iain Chalmers of the Cochrane Collaboration, who are long-standing campaigners for greater data access and spoke in support of Goldacre’s motion. Godlee spoke about the BMJ’s own campaign to force Roche to publish data on its antiviral Tamiflu, saying the firm had still to publish the data, despite being criticised by an EU ombudsman, and promising to publish the data four years ago. Susie Hackett, a spokesperson for Roche UK responded to Godlee by announcing that the firm was now assembling its own process for granting access to clinical trial data for third party researchers. This move looks likely to mirror GSK’s pledge to open access to its full clinical study reports (CSRs) to researchers which came in October, just weeks after Goldacre’s book was published. GSK will use an independent board to grant access to researchers, a move aimed at preventing any potential misuse and abuse of ‘raw data’ from clinical trials. The debate, despite some personal enmities, managed to maintain a convivial, intelligent tone, and suggested an industry open enough to keep moving forward and eliminating shortcomings when they become apparent to all. A straw poll, taken at the beginning and end of the debate, showed a group relatively unswayed by either side of the argument - the votes saw a mere four per cent swing (from 35% to 39%) towards those disagreeing with Goldacre’s motion that ‘Pharma is not getting its act together’. This title did little to sum up Goldacre’s argument; he concluded by saying that the momentum towards full disclosure was now a ‘juggernaut’ and that it was inevitable it would come about eventually. Few present at the debate would disagree with that - thus it is only the speed of change, and the extent and character of the new transparency by which pharma should be judged in future. Dr Richard Tiner, Formerly president of the Faculty of Pharmaceutical Medicine (2009-12) and ABPI medical director (1996-2009), supporting Stephen Whitehead.